This webinar, designed and facilitated by patients, promises practical ideas to help you engage patients in making care safer. The session is meant to be a conversation among participants, so be prepared to contribute to the dialogue verbally or via chat. 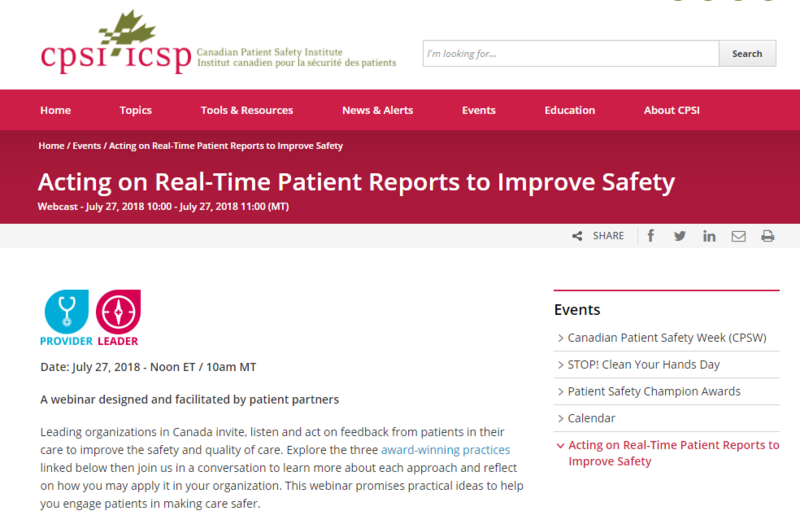 Leading organizations in Canada invite, listen and act on feedback from patients in their care to improve the safety and quality of care. Explore the three award-winning practices linked below then join us in a conversation to learn more about each approach and reflect on how you may apply it in your organization. The event will begin at 900 and run for one hour. Register here.